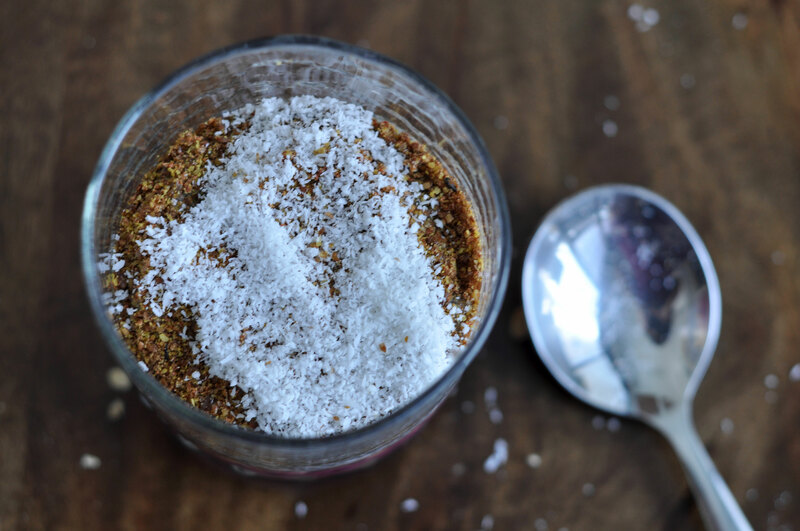 Here’s a much requested recipe after last week’s breakfast post on Instagram. 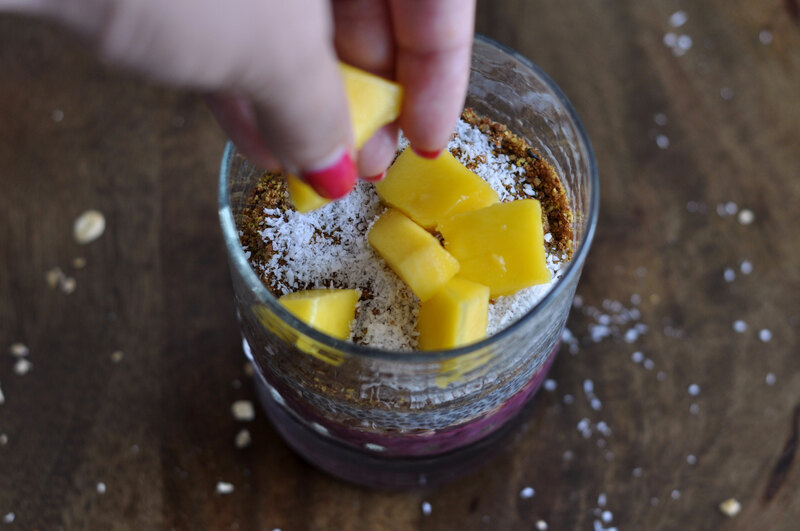 So let’s talk about these awesome superfoods that aren’t only good for you but are also super yummy! 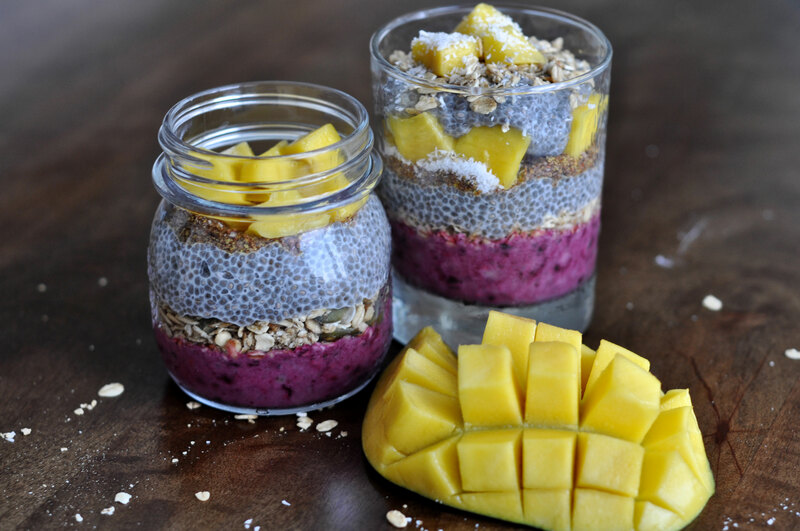 Don’t underestimate the size of chia seeds. They are packed with important nutrients. Rich in antioxidants and full of fiber, magnesium, zinc, iron and calcium. They’re also a great source of omega-3 fatty acids, which help raise levels of your HDL (High Density Lipoprotein), the good cholesterol that protects against heart attack and stroke. The same goes for the flaxseed. 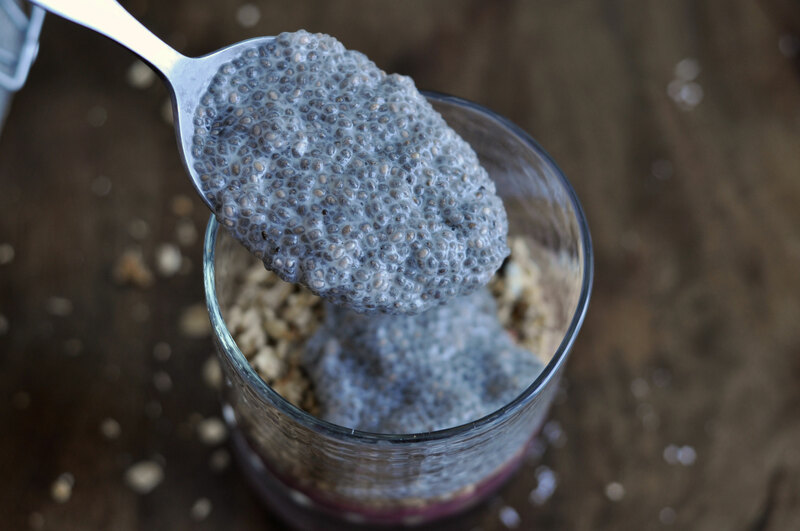 According to the National Institute of Health, seeds like flax and chia can be a natural blood sugar balancer due to it’s high fiber content and healthy fats. 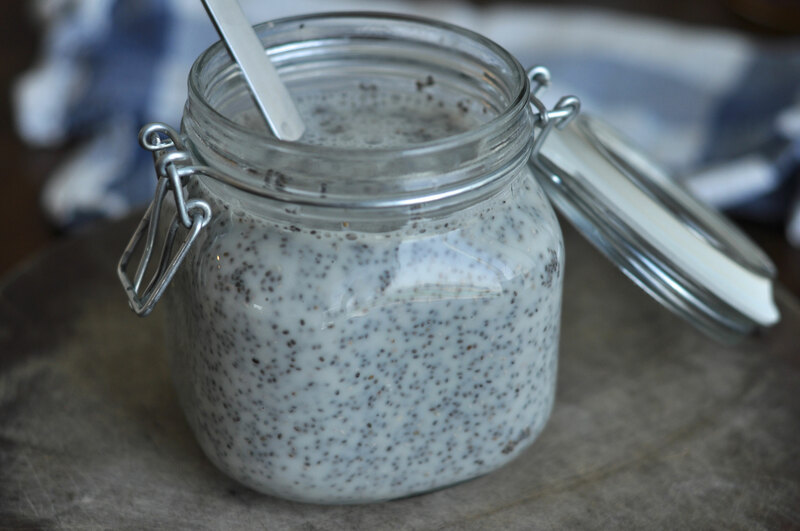 Chia and flaxseeds can be sprinkled into your cereal, yoghurt, oatmeal, smoothies and are great in baking. 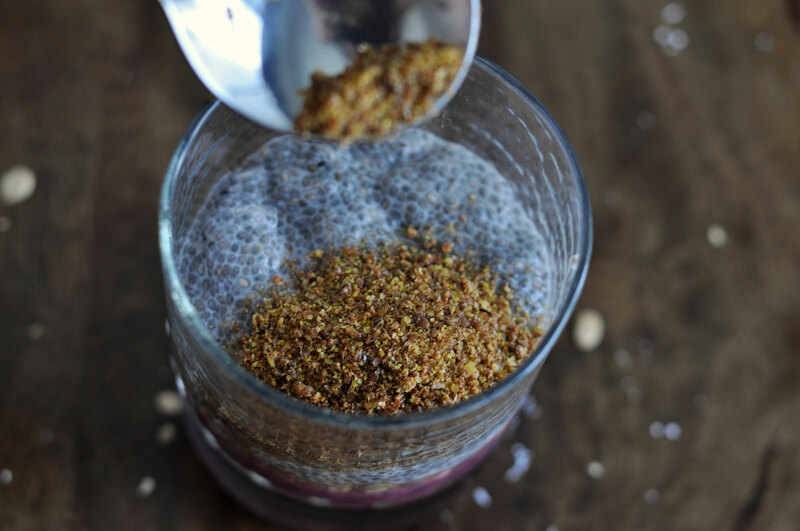 As chia seeds can absorb up to 10 times their weight in water, make sure to mix them into other foods or liquid before consuming. Soaking them releases the enzyme inhibitors that are used to protect the seed, making it easier to digest and for your body to access the dense nutrients inside the seeds. 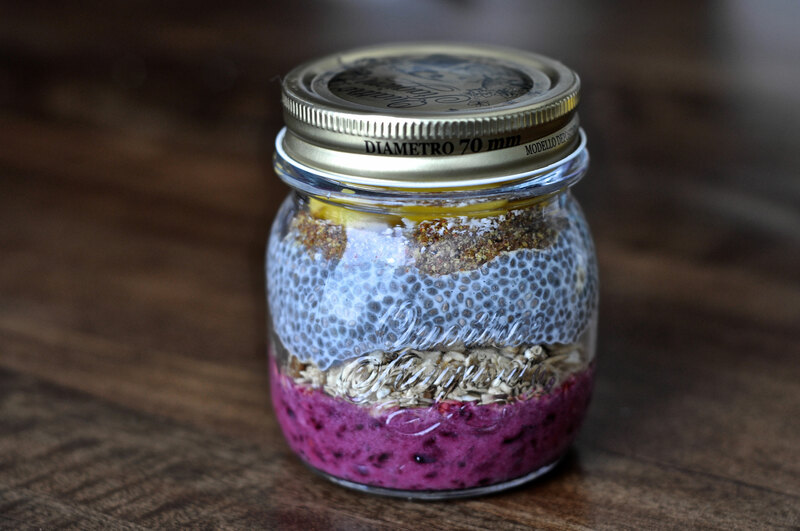 My go-to ratio is ¼ cup chia seed to 1 cup liquid. 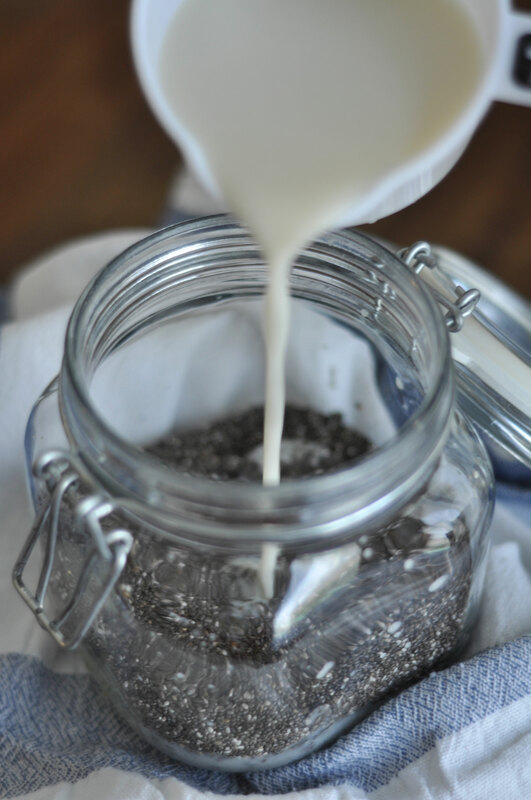 Begin by soaking the chia seeds in almond milk sweetened with honey or agave nectar and vanilla bean paste. 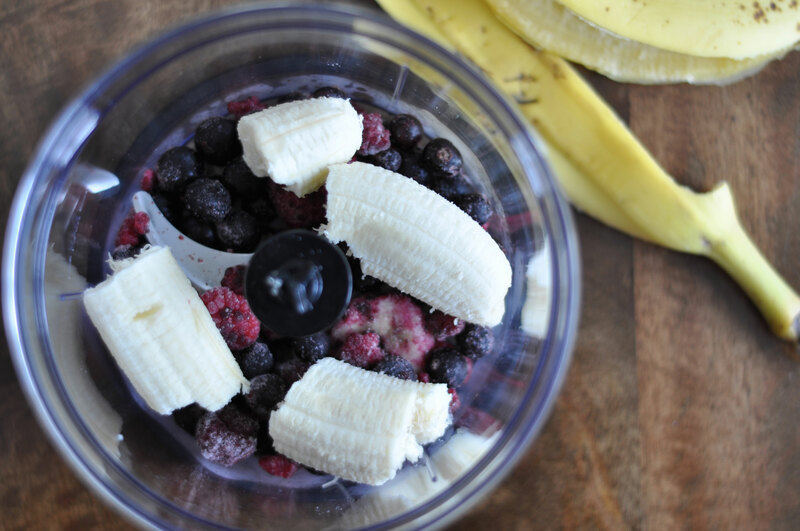 Leave this to sit in the fridge for at least 2 hours or overnight. 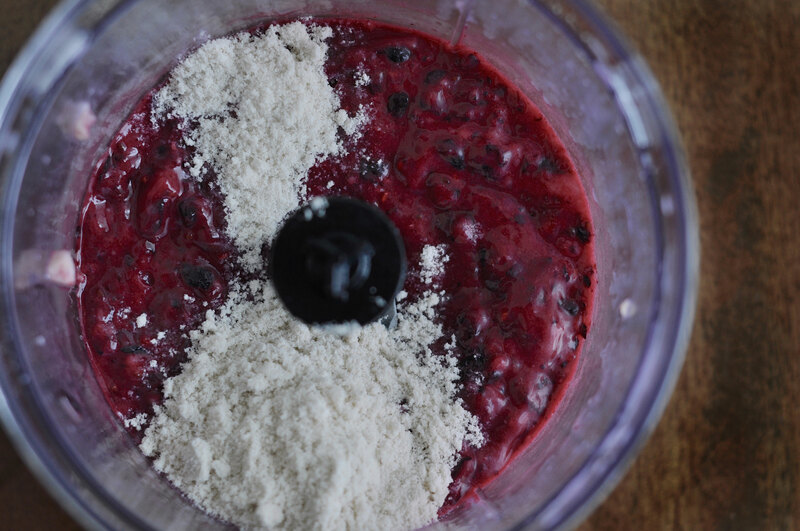 The first layer is a berry smoothie, thick enough to hold the weight of all the other layers. 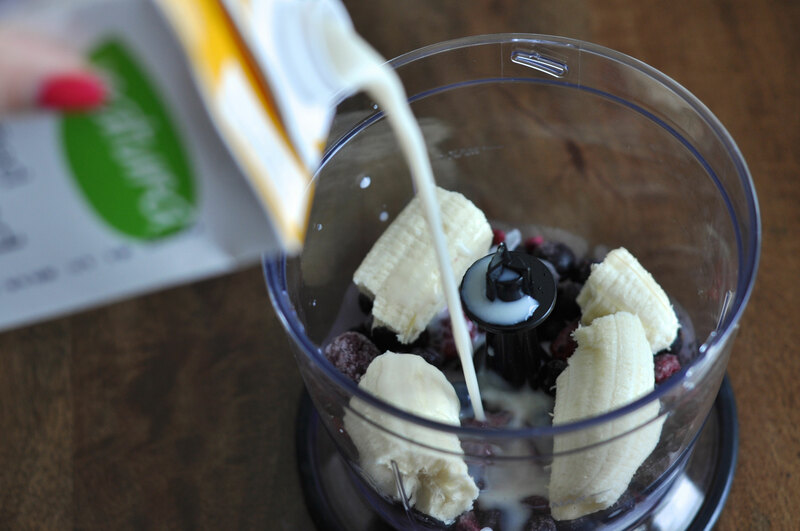 This is a mixture of berries, banana, almond milk and protein powder. Try not to over blend, we want some texture! Handy tip: Prevent spoilage and waste of fruits by freezing them. You can do this with your vegetables for smoothies too. 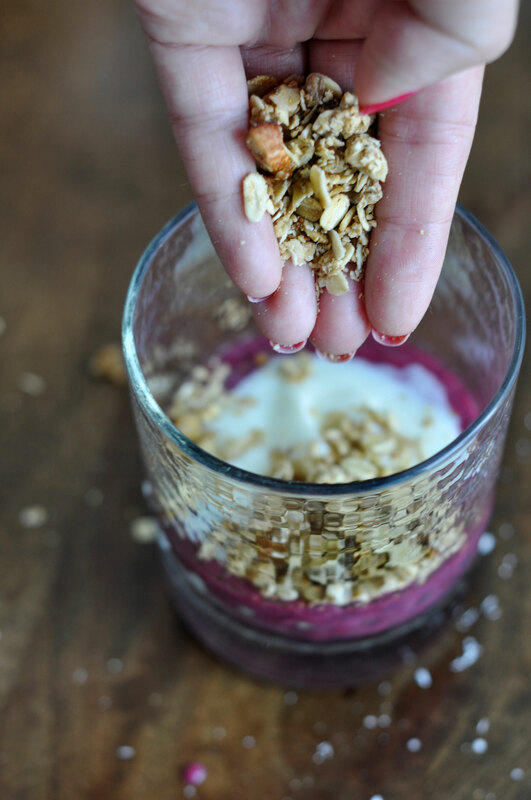 Spoon in your favourite yogurt then add a layer of granola. 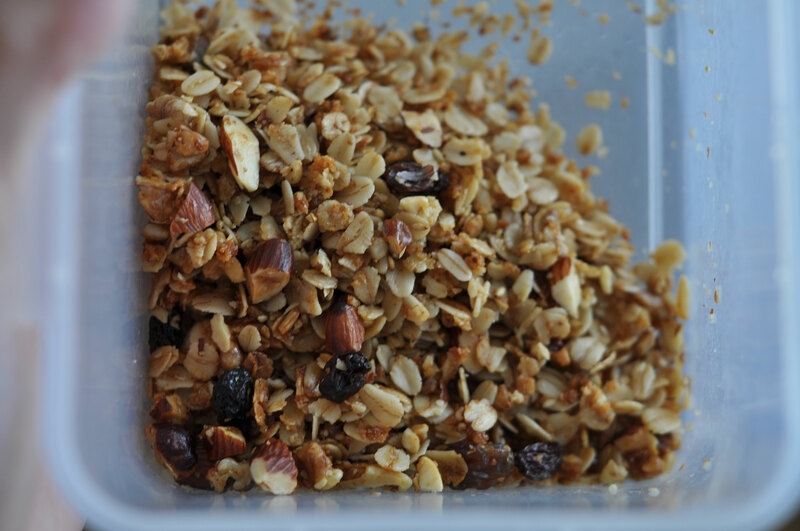 I always make sure to have a box of homemade granola on hand. 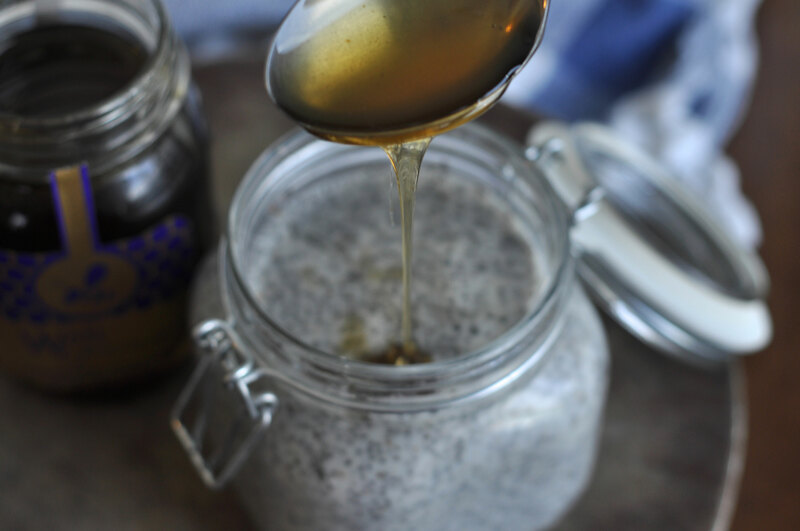 Add a generous layer of your beautiful chia then sprinkle in both the flaxseed and coconut. Top it all off with cubes of sweet mango. You can stop here or by all means continue layering. 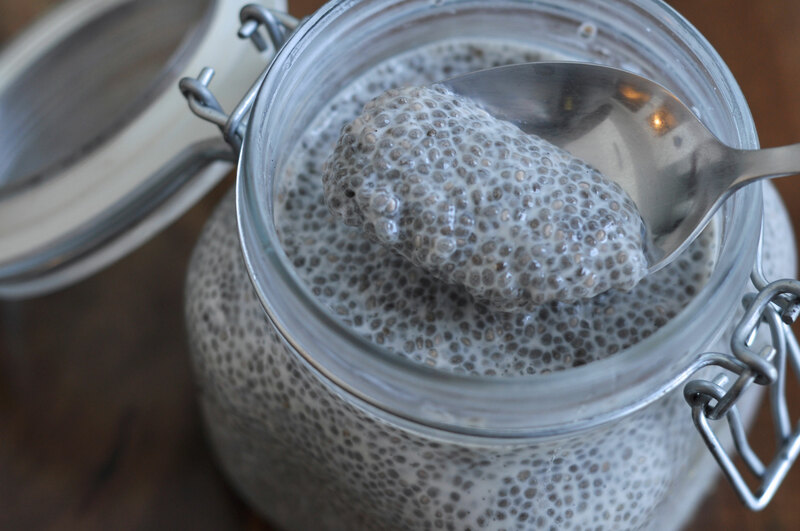 There’s no right or wrong in the land of chia puddings! Just remember your flavour profiles. You can prep this the night before and take it to work the next morning. But I prefer to eat this straight away as I love the contrast between the crunchy granola and creamy chia. 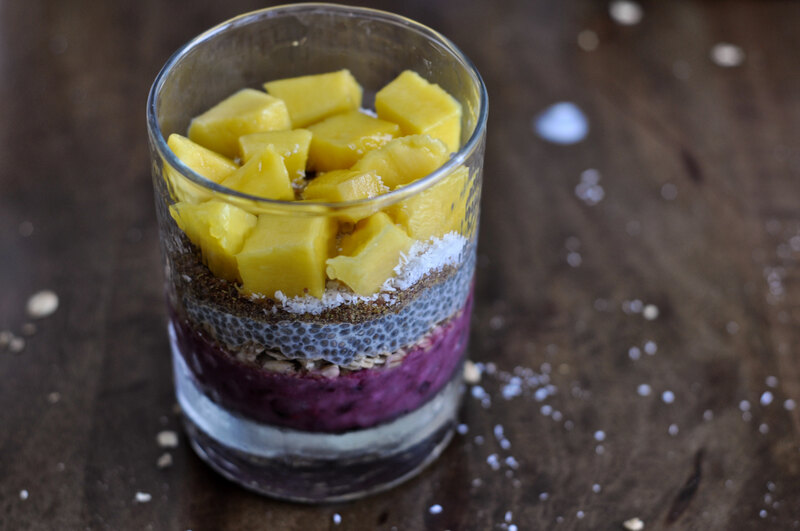 So there you have it, my Berry and Mango Chia Pudding! 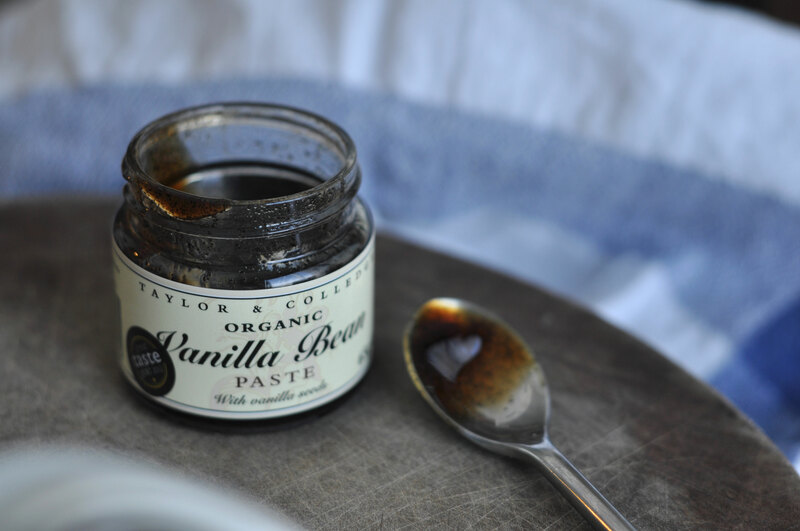 This breakfast pudding can be enjoyed by all, including those who are vegan, lactose (plant based yogurt) and gluten intolerant. It is high in plant-based foods such as fruits, nuts, seeds and grains which has been shown to support a healthy complexion, increases energy levels and lowers blood pressure. If you do give my recipe a go, don’t forget to share @indulgexplore on Facebook, Pinterest, Twitter or Instagram. I need to try this! It looks so yummy. 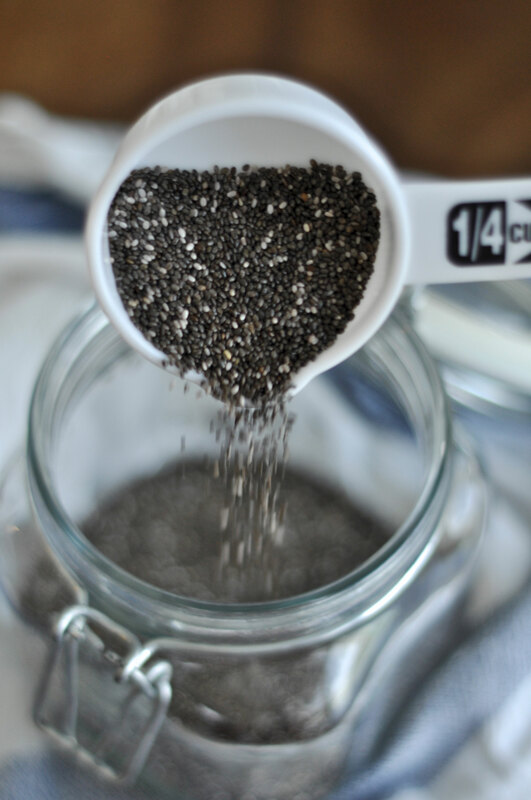 Do you know where to get a small bag of chia seeds from? I looked all around Asda to try this the other day and couldn’t find any! Wholefoods! they have everything :) Or you could try Holland and Barrett and probably Waitress. Let me know if you try it out! Healthy desserts! I’ll have to try this recipe out.